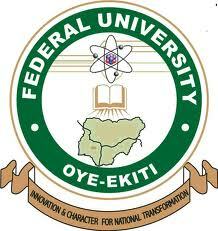 Following the announcement of the Federal University, Oye-Ekiti (FUOYE) 7th Matriculation ceremony date, the management also released the list of admitted candidates ready for matriculation. According to the management, only fresh students that have paid their school fees will be matriculated. Any student who fails to pay up on or before the deadline (Tuesday, 3rd April, 2018) will forfiet his or her admission. Read Also: FUOYE Academic Calendar.